After we receive your order, we contact you to verify shipping costs and details. Many of our products come with reduced, flat-fee shipping rates. Some items even ship free. Regardless of what you order, we pledge to eliminate surprises. To speed the process, be sure to fill out the Customer Notes section of the online order form. You'll find it directly below the credit card information field. Include the best phone number and time for us to call, then relax. Our experienced and polite shipping coordinators do the rest, identifying the best transport options before contacting you for final approval. All orders across North America ship duty free, too. Orders leave our warehouse quickly -- typically the morning after they are received. And as soon as this happens you'll get an email notification that includes tracking numbers for your entire shipment. You'll also receive an Internet link to the shipping company's corporate website so you can follow your order in transit. Of course, no one can guarantee complete freedom from unforeseen delays due to weather, break-downs or traffic jams, but these are rare. Our shipping partners are professional and trustworthy. In the unlikely event an Elite product arrives incomplete or damaged, no problem. We'll ship a replacement at no charge.So what could be easier? With the Elite seamless shipping system on your side, you might as well live next door to our shop.If you would like a shipping quote please Email or Phone us with your shipping information and the product you are looking to order. 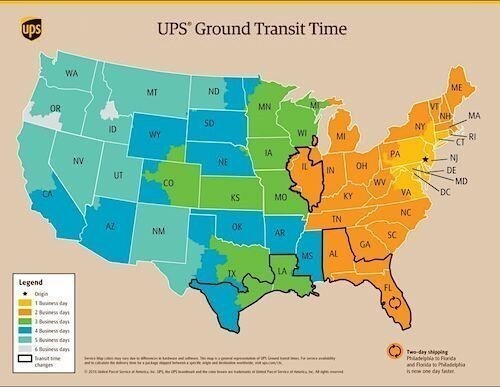 For shipping addresses within the lower 48 States only. Contact us for a competitive price on shipping outside of this area. If free shipping on this item is offered, it is for a limited time and may end without notice. We reserve the right to choose which form of delivery. FOUR TOP REASONS PEOPLE BUY FROM ELITE! 1. World's most unique wainscoting and columns. 2. Buying direct from manufacturer saves money. 4. Fast, safe no-surprise delivery experience. **Anywhere in the lower 48 States, we reserve the right to choose which Form of Delivery, See all Terms & Conditions.